These are the most luxurious Corvette mats made. Luxe mats are constructed with a flexible layer of polyurethane “sponge” sandwiched between the yarn face and rubber backing. This special urethane core allows the mat to more closely conform to the floor, helps prevent slipping and creasing, provides an extra barrier to outside noise and heat and makes LUXE Mats completely waterproof. GM-licensed Corvette emblems are ultrasonically “welded” deep into the carpet pile. 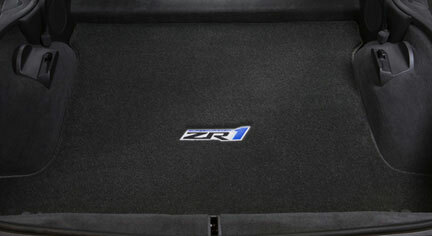 LUXE mats are simply the finest custom fit Corvette floor mats on the market.